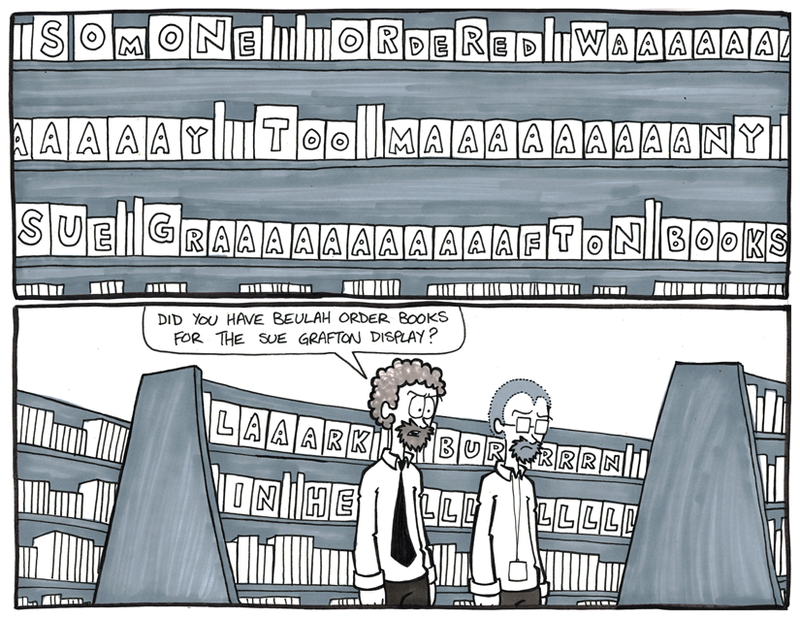 I think almost every store has a manager who doesn’t really know how to order in books. Quantities of titles and exactly how much space they take up is inconceivable for them. Or they’re lazy and just order everything without looking into how much we can stock, display, receive, unpack, and process in an eight hour shift. They cause a lot more work for what amounts to a display that’s up for maybe a week and then we ship back all the unneeded product. What’s that old saying? Moderation something something?